Taking the excellent foundations of the Beta as a their basis, Lancia have been quite ingenious in retaining not a few of that car’s better points and adding some new details. 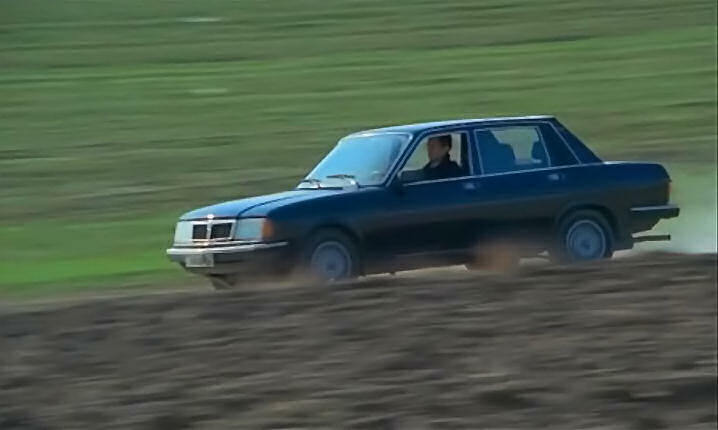 The original Beta was a four-door saloon despite its fastback looks (much like the Citroen GS). Very cleverly, the Beta Trevi is also a four door saloon but it has a boldly cut notchback to prove it. So, now Lancia has not one but two four-door saloons in its line-up: one for people who want saloons that look like hatchbacks and another for people who want their saloon to look upright and boxy. The Beta Trevi’s engines are also the same as those found in the Beta Berlina: a sprightly 1600 and a sporty 2000. A choice of Weber or Solex carburettors is available. The suspension is fully independent. McPherson struts and coils are positioned all the way around the car, which is handy since the same type of tyre is used on all four wheels too. Those wheels are Pirelli P6 185/65HR 14″ radials. As per the Beta, a screw-pillar jack is provided and the screen wipers have two-speeds plus an intermittent setting. So, that’s the Lancia Beta Trevi in overview. Once inside the car, many drivers will notice that the interior is subtly different from many other vehicles. Perhaps inspired by Munich, the dashboard is very much shaped with the driver in mind. The main gauges and dials are recessed in deep tubes all angled towards a point just below the driver’s eyeline. Lancia’s own brochure describes the innovation: “The main instruments are arranged directly in front of the driver.” And interestingly, the passenger can see nothing of what the driver is doing speedwise, which is very handy for car with the Beta Trevi’s sporting intent. The seats are very soft and wide thus allowing a lot of freedom for movement, ideal on a long journey on motorways. A pet hate of mine is losing things in car interiors. I can’t tell you how many Mont Blancs and Bics I’ve lost in test cars, and how many pairs of spectacles, lighters, pipes, boxes of matches and the like that have been lost with them. The Beta Trevi avoids this hazard by having almost nowhere to store personal effects, apart from a small, odd-shaped declivity just to the right of the gear stick. It would be excellent if other manufacturers could also save our time and theirs by stopping the race to have the most places to mislay vital bits of falderal. Incidentally, if you really do have to find somewhere to put things, simply don’t order a radio with your Beta Trevi. It’s not a standard item and the resultant hole in the dash would be a good nook into which to cast a pack of Craven “A” cigarettes in between smokes. When I first started my road testing career getting a car going and keeping it going was always a challenge and great fun too. The Lancia Beta Trevi harks back to the entertainment of these sadly bygone days by requiring deft use of the accelerator pedal, gearbox and “the rolling halt” to keep the car from stuttering and stalling during the first seven or eight miles of driving. The trick is to avoid the car coming to a halt at, say, a junction or stop light or for any reason at all. Getting stuck in heavy traffic is unwise also, unless the engine is well-warmed through. The other alternative is a bit of patience. Just start the car, light a cigarette and rev firmly until you’ve finished a second one. By then the engine will be well up to operating temperature. At this point it might be fair to ask that the car is like to drive. Well, the Beta Trevi is fundamentally a car with Ultramontaine heritage. All it needs are gently curved steeply inclined mountain roads to really shine. With this in mind it is easy to forgive the car for not quite relishing the choked streets of Norwich and the Norfolk countryside where we chose to conduct our appraisal. As it was, the Trevi balked at the frequent tight corners and the consequent shifting of gears. One bright spot was the ease with which one could change from third to fourth. This is so generously sprung that that it often liked to helpfully drop out of gear itself if one was really going hammer and tongs. Fifth gear is tuned for power rather than quiet running so at motorway speeds it does drone rather. Stay off the motorways is my advice. In handling terms, the Beta Trevi is a car where gentle understeer disguises a propensity for the most entertaining lift-off oversteer, especially in the wet. It switches from one mode to the other with nearly no intermediary state. Drivers who like a challenge will find that the Beta Trevi will provide much amusement. Lancia recommend only one tyre for this car, as it is around the Pirelli P6s that the suspension has been tuned. To fit any other tyre would be like putting tomato ketchup on a Melton Mowbray pork pie. Like the pork pie, the Beta Trevi is complete unto itself. My tentative feeling here is that Lancia have been more than courageous in choosing this suspension set-up of the Beta Trevi. It brooks no compromise while other makers still insist on promising only stodgily predictable understeer (VW, Leyland and Renault take note!). The robustly built Beta Trevi weighs 23.3 cwt. 115 bhp is safely put down through the expedient of having 72% of the weight falling on the front axle. This means that it’s the clutch that spins rather than the tyres if you drop a cog quickly into first. In second gear a humorous wisp of blue smoke signals tyre spin.. If you’ve avoided tyre spin or a flailing clutch, 40 mph comes up in 6 seconds, and 60 mph can be attained in 11 seconds. Not bad, not bad at all. It’s best to keep the revs up beyond 4000 to get the best out of the Beta Trevi’s charismatic twin-cam Fiat-derived motor. Driven as intended the Beta Trevi easily attains 23 mpg. If you want to see the other side of 25 mpg you have to drive it in a way the car isn’t designed for anyway, which is to say, with gentle inputs and little vim or vigour. The Beta Trevi’s road-holding is generally good and the brakes manage to do a fair amount of stopping. This is no lady’s car though: a good firm shove is required to get the very best out of the anchors. But Lancia know their customers and unlike, say, Ford or Vauxhall, don’t pander to those for whom mere convenience means more than challenging driving. As mentioned above, the interior is a simple but bravely modern affair. Rather than being designed by committee it is clearly the work of one singular mind, the designer Bellini of Italy. He has stamped his vision and understanding on the interior of the car in precisely the way architects of the ’30s did. It is uncompromising. As in the Citroen CX, the door release levers are hidden to avoid cluttering the otherwise blank interior panels. Bellini doesn’t want the driver or passengers to disturb the clean lines of the interior. That would distract from the striking seats which are clearly inspired by the latest Italian furniture design of 1977. Oddly, now that the Beta Trevi has less space on the inside than its predecessor, Lancia make a bit of meal of how roomy it’s supposed to be. Despite it being a bit of a small car they insist “the Trevi is one of the most spacious on the inside.” Well, logically, the least roomy of ten cars can still be one of the most roomy, the “tenth most roomy car.” Lawyers must have written Lancia’s marketing fluff. I’m still puzzled. The Beta was notably roomy and the Beta Trevi is notably not so roomy. Where did the space go? It’s a good smoker’s car. While the rear doors lack any visible decoration they do have an ashtray each. Simple though they are, they are effective. The driver’s ashtray is placed to allow you to keep your cigarette in your right hand, leaving the left one to do the gear-changing. The ventilation is simply terrible but most smokers will have one or two windows open anyway. The windows are electric, in the modern style, with the four switches safely out of reach between the front seats. Rather than put the gear change map diagram on the ball of the gear lever where it is hidden by your hand, the gear locations are marked on the plastic fascia of the centre console. This is another clever idea, and typical of the originality that Beta Trevi demonstrates. A nice high lip over the tailgate keeps your possessions safe once the boot lid is open. All in all, the Beta Trevi is both different and original in many ways. The Trevi has it all: a charismatic engine where the emphasis is on performance and not eking out petrol. On the handling front, the Beta Trevi manages to offer the possibility of either thrilling tail-out antics or play-it-safe understeer. The exterior design sets the car far apart from other saloons. Inside, the car is cosy, nicely trimmed (in navy blue or chocolate brown velour) and is fitted with a uniquely designed dashboard which ought to get the neighbours talking. The only horse in the bath is a rather abstract one: should Lancia be building a car focused on both performance and luxury? And does the car’s Fiat roots mean it lacks that critical element of character that’s so important in today’s increasingly competitive market? But as it stands, the car’s unusual styling and quirky features, all built upon a tried-and-tested decade-old design will surely mean Lancia’s current progress can continue unchanged. Archie Vicar is a founder member of the chartered society of retired motoring writers. “From memory (and some old Autocar’s and Motor’s) I think the motoring press remained fond of the Beta, despite it’s propensity to self-destruct. It was, in the early 70’s, a notably superior proposition to a great many rival marques offerings – at least on paper. Motor ran an early Beta 1800 ES as a long term test car and apart from some misgivings about the sunroof and some of the ES-model equipment (and some early signs of rust) they gave it high marks. What´s just arrived in the post but “Motor”, weekending August 1st, 1981. It has a four page review of the Lancia Trevi 2000 and to my surprise they thought the car´s 24 mpg was acceptable and unremarkable. They hated the interior and were amazed the car was less spacious than the Beta. The most surprising part is that they called the Beta “respected.” Has the rust debacle become more of an “issue” now than it was then? The reviewer also thought the Trevi was well assembled as they had come to expect from Lancia. I read that Lancia Trevi review from Motor, August 1, 1981. It´s by far the most charitable of the reviews, noting but glossing over the engine´s warm-up tantrums, sticky gearchange and the lack of space and storage for oddments. You´d have to read carefully to notice the hint that lift-off oversteer was a possibility, or to notice the incipient hint that the softly-sprung, wider front seats were not great for sporty driving. Instead one reads about slightly above-average fuel consumption (the other 2.0 litre cars have the same or much poorer mpg figures, I noted to my horror**), very good ride and refinement and nice steering and stoppy brakes. The main target of criticism is the Bellini dashboard – a constant of all reviews about this car and some engine droning at motorway speeds. If this was the only review you´d read, you´d never think the Trevi was the patchily competent oddball it seems to have been. I can´t wait to find out what CAR thought in 1981. My magazine arrives in the next few days…. **the cars the Trevi was compared to offered mpg in the low to mid 20s. 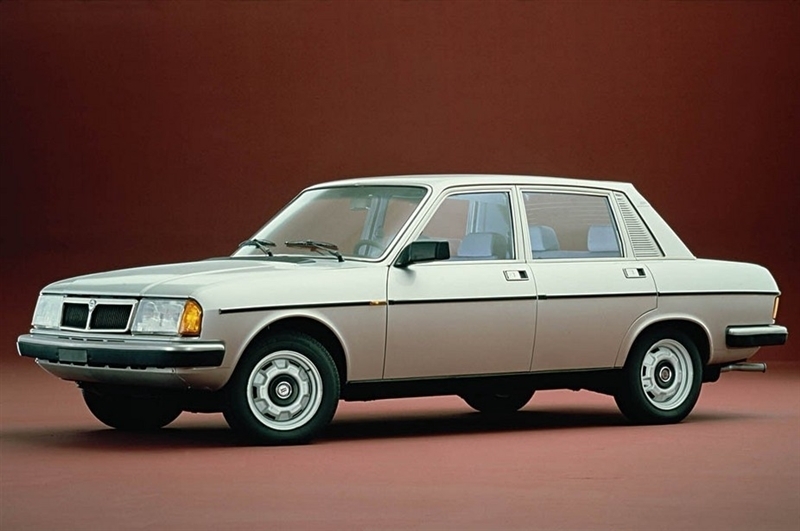 The Ford Cortina was among the worst and the Renault 18 among the best. This resets my view about the Trevi´s mpg which I considered to be remarkably poor. This is a comment from the thread of this review´s original location. “I look forward to reading your summary of the CAR ’81 review. It’s always interesting to me when looking back on old reviews to see how the subjective views at the time sit with our own hindsight-enhanced view of the situation. Maybe Lancia’s UK press office was more successful at putting a positive spin on the rust issues back in the day? Or perhaps Lancia’s rust-prone reputation grew once the cars had been allow to depreciate and decompose a few years in the used car marketplace? Or perhaps the reviewer was fondly remembering Fulvias and Flaminias when declaring the Beta ‘respected’. Did it win the euro Car of the Year? That used to mean something, at the very least in giving a bit of padding to a review. It’s always funny to compare a review in a magazine when the car was new, with the laundry list of weaknesses and work-arounds that the owners group forum become conversant in once the car has sailed well out of its new car warranty and obligatory main dealer servicing regime. “It´ll be fascinating to see how a named journalist from CAR views the Trevi. All the other tests are anoymous. I expect a bit more colour than is found in the Autocar, Motor and Which? articles. About the rust issue: we´re still talking about it. The truth is that Lancia´s sales dropped by a third but soon recovered again. Sometime afterwards the rust problem became a self-supporting part of the Lancia myth. Unlike Skoda who have killed their reputation for making rubbish, Lancia never got to grips with the PR aspects of what was a short lived quality problem. You could write a PhD on how this topic took on a life of its own. Just after the Beta “scandal” the matter seemed to have been fading quickly away. The “respected” adjective probably was intended to refer to a longer time period than the immediate past of rotting Betas. It sounds odd to our ears though since I at least would have assumed a greater focus on the problem in the aftermath. As Christmas reading, eBay is sending me a copy of Car, Nov 1982 with an item on the Trevi. I hope it lands on the doormar before Wednesday. At this stage I must have close to all the articles written for the UK market. It’s been ages since I ordered from eBay. Is anyone else afflicted with an eBay compulsion? That is some serious research. I always thought that the unreliability and rust and poor cold starting and poor warm starting was made up for by an engaging engine and sporty handling. 24mpg for a 70’s 2 litre would have been about right I would have thought ( only getting 15mpg from a 2001 2.8) . Have to confess that even though I generally like 3 box saloons that interior (especially those seats) is really quite terrible. I must have spent fifty quid getting articles on eBay about it. The interior is, as you say, special. I quite like the fact they were inspired by 70s Italian furniture. The handling and steering got good notices though. I really want to drive one sometime. Badly. I don’t think time is your friend…..